Econet Wireless was on Friday last week awarded the Postal and Telecommunications trophy for the best overall stand by a licensed postal and telecommunications operator at the just ended 108th Harare Agricultural Show. CBZ Holdings bagged the Financial Services Floating Trophy for the Best Stand Exhibited by a Financial Services Institution. The trophy was sponsored by the Reserve Bank of Zimbabwe. The SME Challenge Trophy went to ZANU PF SMEs for the best display by a small to medium enterprise company. Zimbabwe Agricultural Society overall best exhibit in commercial entries from all the winning stands was awarded to SEEDCO. 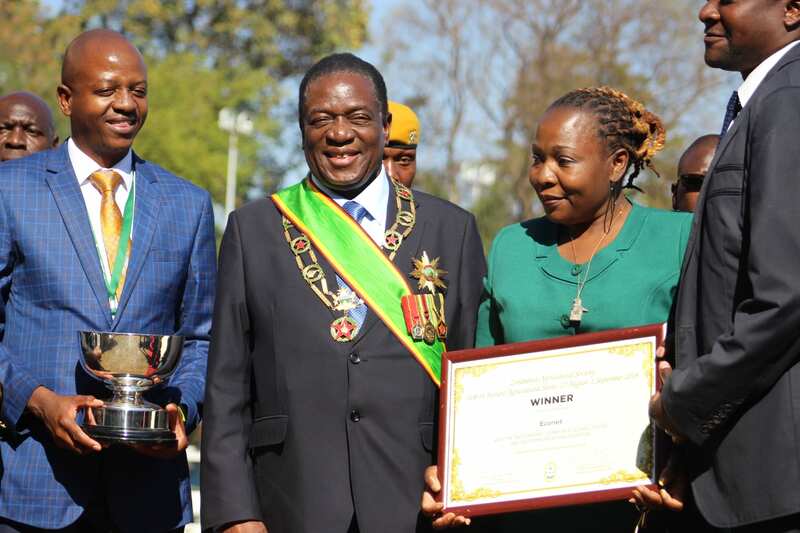 Former President Robert Mugabe’s business empire, Gushungo Holdings emerged one of the biggest winners at the 2017 Harare Agricultural Show after scooping awards in the livestock and dairy categories. Zimbabwe Agricultural Society (ZAS) last week revealed that the number of organizations who exhibited at the 2018 Harare Agricultural Show increased by 14% from 2017.